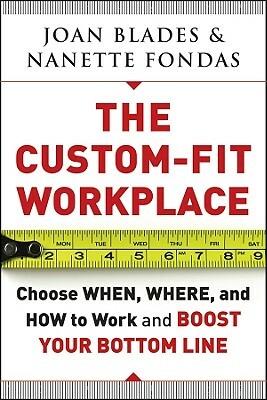 Practical and engaging, The Custom-Fit Workplace provides individuals and employers the tools they need to be successful and happy both at work and in life. Joan Blades (bottom) is co-founder of MomsRising.org, MoveOn.org, and the software company BerkeleySystems. Nominated one of Time magazine's Most Influential People, she was named 2003 Woman of the Year by Ms. magazine. Nanette Fondas (top) is author of award-winning articles and research on management, organizations, and work. Featured regularly in The Huffington Post, Yes! Magazine, and her blog, MomsRising.org, she earned a doctorate from Harvard Busi?ness School and a master's from Oxford University as a Rhodes Scholar.